My name is Dan Zielinski III, and I have something to say! Welcome to my website, The 3rd Man In. This is where I dish out my own perspective on what’s happening in the world of sports! At the end of December 2011, I created The 3rd Man In on a blogger site, and since then my site has grown reaching hundreds of thousands of readers from all around the world. 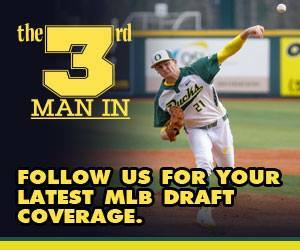 Besides being an outlet for my sports thoughts, I wrote MLB draft feature stories on The 3rd Man In until moving the coverage to BaseballProspectJournal.com. 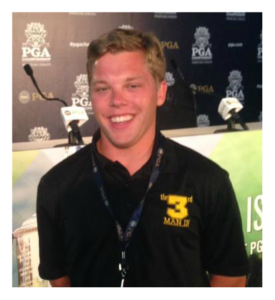 I’m an award winning journalist who currently works for the Kearney Hub, a daily newspaper in Kearney, Nebraska, covering University of Nebraska football, the Tri-City Storm (USHL) and University of Nebraska at Kearney athletics (Division II). I graduated from the University of Wisconsin-Milwaukee with an emphasis in sports journalism in May 2017. Throughout college, I covered the Green Bay Packers, Milwaukee Brewers, Milwaukee Bucks and Milwaukee Panthers for numerous media outlets. I write for the Milwaukee Journal Sentinel’s NOW Publications and the West Bend Daily News, a traditional daily newspaper near Milwaukee, while also interning at Wisconsin’s largest sports radio station, SportsRadio 105.7 FM The Fan. I’ve also done numerous public speaking events, talking to students of all different ages, regarding my experiences and career in the journalism field.